SUCCESS IN SOCCER! DEVELOPMENT WITH PURPOSE! Sign up starts Jun 5th: for more information go to the team site (Maryland Junior FC). The Maryland Junior F.C. will run a 10-week long soccer program in Towson this fall. The junior academy program includes ten practice sessions during the week and ten scrimmages on the weekend. The Fussball Academy applies four building blocks: 1. general movement, 2. soccer-oriented movement training, 3. soccer-specific technique training and 4. playing soccer and the building blocks abide a unique curriculum to develop the all-around soccer player. Registration will open at the end of the summer. For questions, please email Director, Richard Möller, at richard@fussballacademy.com. Q&A with Founder and Director, Richard Möller. Q: What is the primary objective of the Maryland Junior Academy? A: The primary objective is to share the excitement of soccer with children, to offer children a well-rounded basic athletic training program, to include both challenges and encouragement in our program, and to provide children guidance on the field and off. Q: What makes this Maryland Junior Academy unique? A: Our program is age-appropriate and developmentally appropriate. For example, for ages 5-6 a major focus is on developing and training a broad repertoire of motor skills. For ages 7-10 a major focus is on coordination training and individual training (1 v. 1 play). Q: Does the Maryland Junior Academy employ a German training model? A: Yes, it does. I helped the German Soccer Federation write the curriculum for Player Development and Germany offers one of the best youth training models in the world. Additionally, Richard has won multiple Youth Euro Cups & Youth World Cups as a former German Youth National Team Coach. For U6 and under we teach a wide range of movements and want the children to experience the fun of unstructured play. 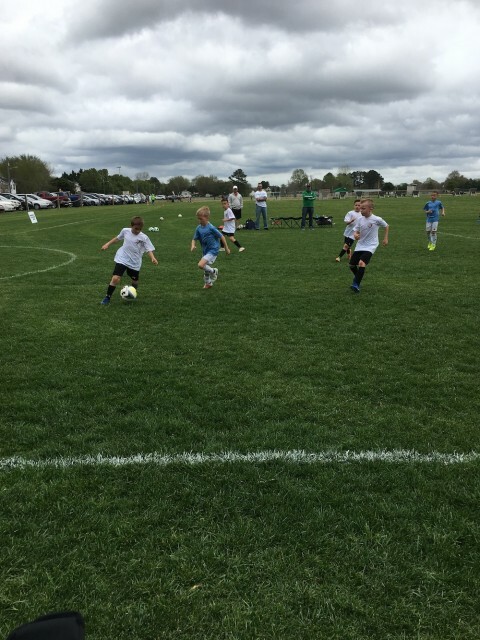 For U10 and under we develop their coordination skills, teach the rudiments of basic techniques and want our players to enjoy the game of soccer. Too many clubs in this country use the Adult System when developing players at a very early age. The focal point, therefore, is winning instead of applying the right building blocks for the proper age. Each year the building blocks adjust and coaches need to have the proper education coupled with experience to apply it. How many teams focus on coordination training at the age of 8 regularly or at all? This wide-spread philosophy candidly hinders systematic player development. The Golden Age, ages 8-12, is the most important time to develop players technically and their 1 on 1 skills. Many clubs fail to take advantage of this precious time. For example, technique should be fully developed by the time a player reaches the age of 13. The result of the Adult System is that many promising players' performance, ages 8-12, start declining shortly after and the ones who did not receive equal attention never received a chance to develop properly. US Soccer published an article that over 80% of youth players quit club soccer between years 12-17. Here at the Fussball Academy we developed a training model developing every player! This allows for proper development at every age group whether it is during the Golden Age, or between ages 14-18. "I was always the smallest and skinniest player while growing up. I did not hit a growth spurt and fill out until I was 18. If this Adult System would have been in place in Germany I would have never played for 1. F.C. Kaiserslautern, the German Youth National Teams, become a DI All-American and be drafted to play professional soccer in the US because bigger and stronger players would have received all the attention, especially in the earlier stages! ", says Founder Richard Möller.